The fishing is picking up this week in Fort Lauderdale. The drift boats are catching lots of yellowtail and mangrove snappers. 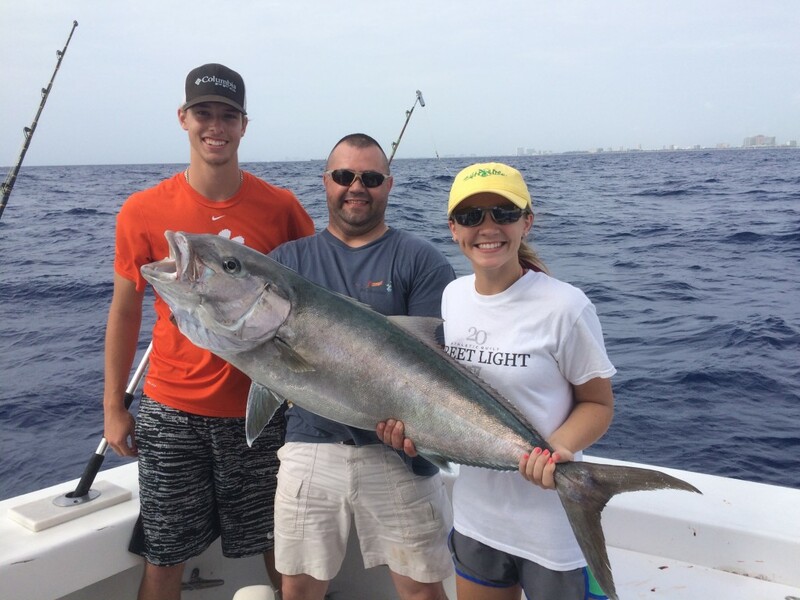 Sportfishing boats are catching a mix of tunas, bonitos, kingfish, mahi-mahi and wahoo. Some big fish are showing up around the wrecks too including big groupers and amberjacks. 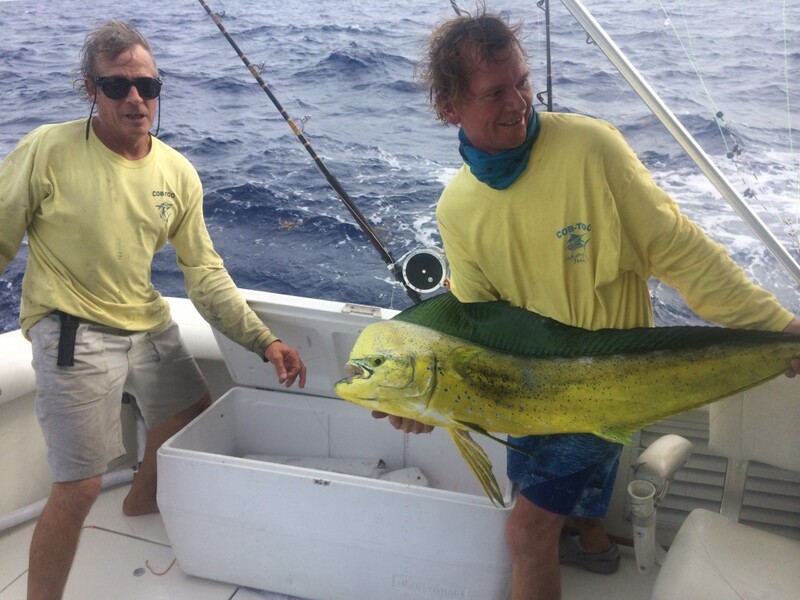 Our fishing action is heating up as fast as the south Florida weather. Nice catch of snappers caught drift fishing on the Catch My Drift. First off, the drift boat trips are catching a lot of snappers. Yellowtails and mangroves are biting great on all 3 trips (morning, afternoon and night). Almost all of them are keeper size and we’re catching good numbers of them. 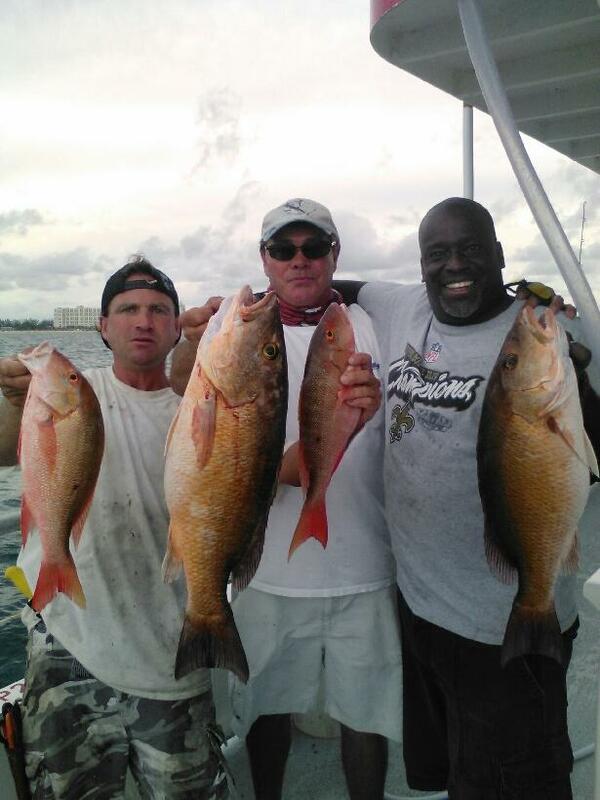 A few of our mangrove snappers have been humongous lately. Lots of grunts, porgies, toro, jacks and other small bottom fish are biting. A few kingfish are starting to bite on the drift boat, with a couple bonitos mixed in. Our night anchor fishing trip is slamming a lot of snappers, mostly yellowtails and mangroves but a few muttons mixed in. Groupers are biting too, but not in abundance. A few red groupers, a rare black and quite a few hinds/coneys. Nice catch of yellowtails, muttons and lots of action on the drift boat. 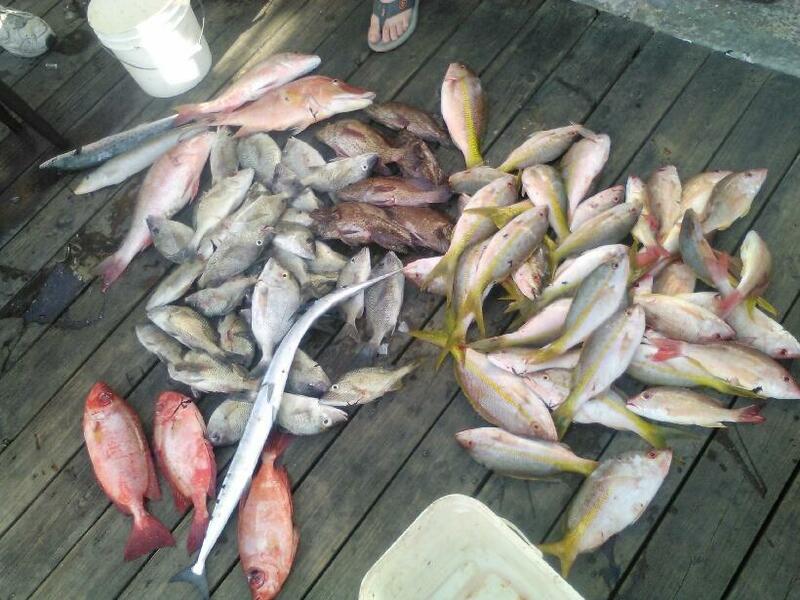 Sportfishing boats are doing well trolling the reef. Action is good with some bonitos, small blackfin tunas, kingfish keeping the action steady throughout the trip and every now and then something unexpected jumps on there. 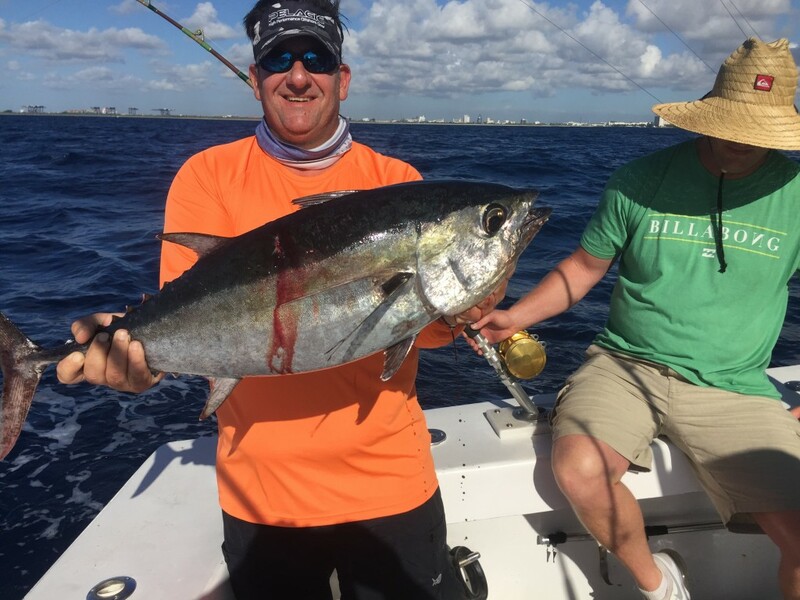 Odd ball catches on the reef this season are larger sized blackfin tunas, barracuda, sailfish, wahoo and sometimes even jacks or pompano. Wrecks are holding some good fish. Amberjacks are here and biting on all the wrecks over 200ft deep. Some big groupers have hit the dock this week too. You never know what you might catch live baiting around the shipwrecks. Nice blackfin tuna caught trolling the reef. There’s good action on the troll with the possibility of catching something bigger. If you troll a little further offshore, some dolphin are showing up about 8-10 miles offshore. They are mostly schoolies, schooled up so if you find a school, you can sit on it and catch a bunch of them. Watch for floating debris, weedlines, birds or anything out of the ordinary to find fish. When you get one on the line, keep it in the water for a minute or two to see if a school shows up. 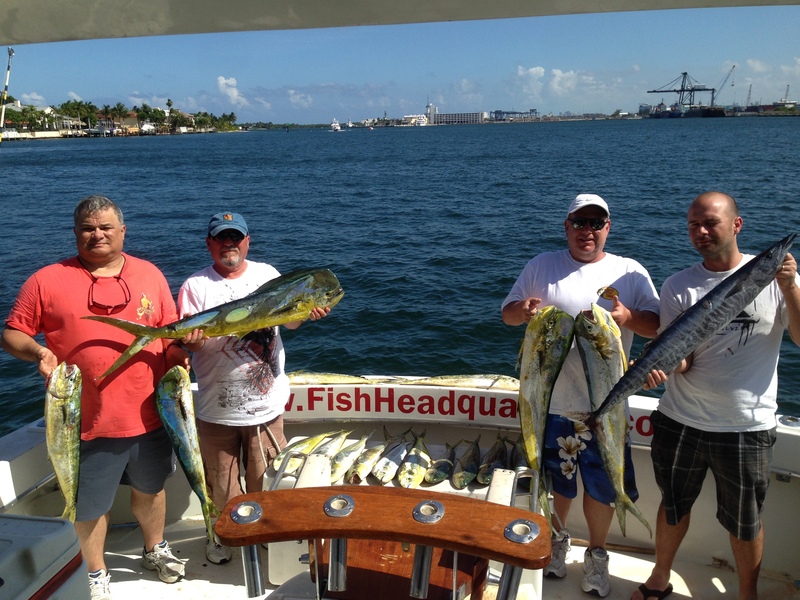 There’s plenty to keep you busy this month fishing the waters of Fort Lauderdale. Good luck to everyone fishing over the next couple weeks. I’ll sea ya on the water.